Have you ever noticed that volunteers tend to work harder than paid employees? This may be because of the satisfaction they feel knowing their work is appreciated. Part of the issue in today’s work environment is that employees feel undervalued and underappreciated meaning they aren’t as willing to put their all in their work. Motivated employees have long-term benefits for a company, such as saving you time hiring and training new people, but in what ways can managers motivate their employees? Part of an employee feeling undervalued and underappreciated is that they don’t feel recognized for their contribution to the company. There is no question that people tend to do their best work when they are actually being recognized for the time and effort they have put in. It is important for employers to give more recognition This doesn’t always mean paying the employee a bonus or giving them a raise; sometimes it’s just as simple as making them employee of the week/month and recognizing them publicly. Trust plays a big role in the relationship between an employer and employee. Employees who know their employers trust them will put in their best effort to keep that trust and work harder to build that trust further. With trust, comes responsibility. An employer who trusts their employee will more than likely give them more responsibility. Employees who have more responsibilities are more willing to rise to the challenges that are set in front of them. Employees have ideas and creative intuitions too, so why not let them express it every once in a while? Not every job is going to require employees to be creative, but no matter the job, the employer should still spend some time listening and showing interest in what ideas the employee has. There ideas may not be the best for the company, but at least you took the time to show that you care about their input. The employee is going to be more motivated knowing their ideas for the company are valued. An employee isn’t going to work as efficiently if there isn’t a relationship established between them and their employer. It is important to build a relationship with employees as they are one of the important factors to why your company runs in the first place. Showing interest in their work and valuing their effort can build that relationship. This will remind them that they are indeed appreciated. When it comes to living a green lifestyle, many find it can be difficult to maintain good habits at work. Did you know that you can practice this lifestyle inside of work as well as outside? No matter where you work, there’s always the opportunity to make your office a little more earth friendly. Forge is always looking for new ways to, “go green” within the workplace. Here are a few helpful tips to help ensure that your company is doing everything it can to reduce its carbon footprint. Talk to the maintenance and operations personnel at your company to find out where all of those bottles and cans are going. If they’re not going to a recycling plant, then make it your priority to take them there yourself. If there’s not already a place (bin, box, etc.) to put recyclables, start one. By creating a designated area to place recyclables, you’re encouraging others to start recycling as well by making it easier for them to place their plastic somewhere else besides the trash can. Packing a lunch with reusable containers eliminates the need to throw away the unnecessary packaging that comes along with buying a lunch. Instead of having to throw away extra packaging every day for lunch, think about using reusable containers to bring your lunch to work. Nowadays many of these containers are microwave friendly. If you are unable to bring your lunch and have to buy a lunch, you can still help the environment by recycling the packaging afterwards. It can be difficult to get off the paper cup train, but making an effort to use the same reusable cup every day can inspire others too. Over the course of a year, you’ll have saved hundreds of paper products by simply using your own mug and/or reusable water bottle. Make sure you are bringing in a reusable bottle and not a non-reusable bottle. Bringing in a non-reusable bottle defeats the purpose of eliminating plastic waste. Before tossing a sticky note, or piece of paper into the recycling bin, consider whether the other side can be reused for scrap paper. Why waste a perfectly good piece of paper, because you only wrote on one side of it? Another thing to think about is printing paper. When you’re printing out documents that are longer than one page, ensure that you’re using both sides of the paper when you’re setting up the document print format on your computer. Going green within your company doesn’t have to be complicated and it doesn’t have to be a drag. Sustainability in the workplace can be fun and easy, and it can provide excellent new ways to bond with your employees. Does your company spend valuable time posting job listings, reviewing applicants, scheduling and performing interviews, when you could be focusing on your company’s productivity? Make a change this season and let Forge Industrial Staffing assist you with your staffing needs this spring. Forge Industrial Staffing can play a critical role in helping you find talent. Specialized firms, such as Forge, work with a specific industry to provide a second level of assistance by filtering talent down to those that are a better match for your company. 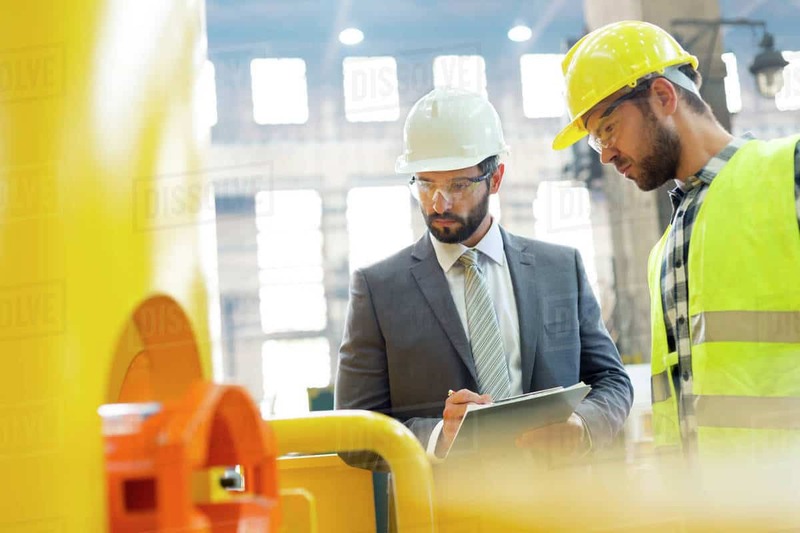 Generally, qualified applicants will choose to work with Forge, because of our understanding of the industrial industry and our knowledge of which companies are hiring in the area. This two-way street creates a more efficient process for connecting employees and employers. There is a lot of pressure on finding people that are going to fit a business’s needs. Part of our responsibility as a staffing agency is understanding the needs of a business and hiring out people that fit closely to it. We have more advanced employee-screening techniques, making it easier for us to qualify the people we could potentially hire out. With this knowledge, we can hire out the right people for job openings within your company. Refer a Friend and Receive a Bonus! Think you have someone in mind that would enjoy working with Forge Industrial Staffing as much as you do? Refer them to us! We are always seeking valuable employees just like you! Did you know you can earn money by referring people to us? With the Forge Referral Program, you can! For each referral employed by Forge Industrial Staffing for a minimum of two (2) days, you will receive a bonus (amount depending on location). In order to be qualified for the bonus, you must turn in a referral form at the time the referred employee is orientated. Additional referral slips are available at your local Forge Industrial Staffing branch location. For more information about the Forge Referral Program, please give your nearest branch a call: forgestaff.com/our-locations. If you are interested in finding work with Forge Industrial Staffing, please apply online with us today at, forgestaff.com/apply! Everyone deserves a little luck when it comes to their job search. For some the process only takes a couple months, while others it can take over a year finding a job and one they actually enjoy going to. One of the many benefits of working with a Forge Industrial Staffing is our ability to assist you with your job search while giving you the freedom to find the job opportunity that fits you best. At Forge, we utilize all of our valuable resources to help assist you take that first step toward your new career. Let Forge help you get lucky in your job search this spring with these few helpful tips. Not sure what job opportunities we have available? Our website, forgestaff.com, has all of our current job opportunities listed on it for each of our branch locations. Before stopping in, or giving us a call, we advise you to check out all of our current job opportunities available to see if any of them would be a good fit for you. Our available positions change daily, so it’s best to look the day you’re planning on contacting us. Our Service Coordinators at Forge Industrial Staffing don’t really know you, or your capabilities. They’re going to start off by having you apply, so that they can get some more information about you. To save you some time, apply online on our website at, forgestaff.com/apply, before coming in, or giving us a call. In order to get a better understanding of which positions are going to fit you and your schedule best, Service Coordinators will also be asking the following questions. Since there are many job opportunities at different times of the day, a Service Coordinator is going to want to find a position that fits your schedule and works out for you best. Not every job opportunity is located on the bus line, so it’s important for a Service Coordinator to know if you have a reliable form of transportation or not. If you don’t have a reliable form of transportation, they’re not going to be able to offer you a job that isn’t located on the bus line. This question plays into your availability. New jobs are always becoming available, meaning you have a higher chance of starting sooner than later. You’re going to want to make sure that you know you’re time commitment to a job before you start it. Did you know that each of our Forge Industrial Staffing locations participate in multiple job fairs a month? 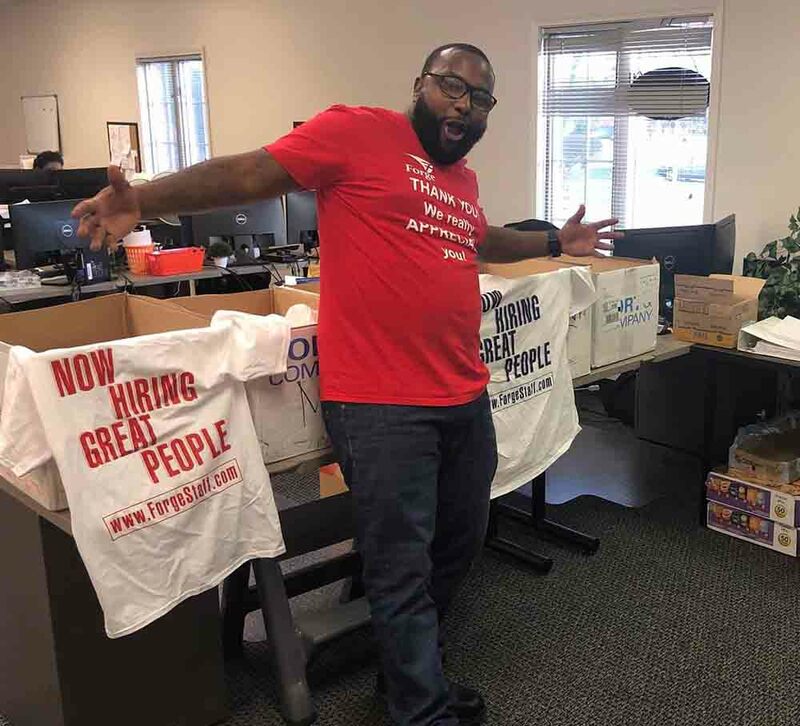 Job fairs are a great tool for us to use when assisting our clients in filling their staffing needs, and it’s a great way for those seeking employment to get information about various job opportunities. Since there are so many people that visit these job fairs, it’s more than likely that there will be people interested in the same opening as you. At an event like this, it’s important that you stand out from the crowd. Some tips to help you do just that include, dressing for success, conducting yourself professionally, having confidence, and polishing up your resume. You wouldn’t think that interviews would be considered, “networking” but they actually are. At Forge, we allow you to come in and interview at any time. Once you’ve applied online you either have the option of scheduling an appointment to come in and interview with us, or stopping in and interviewing when you’re free. Interviews give you opportunity to meet face to face with a Service Coordinator, so they actually get to know you. 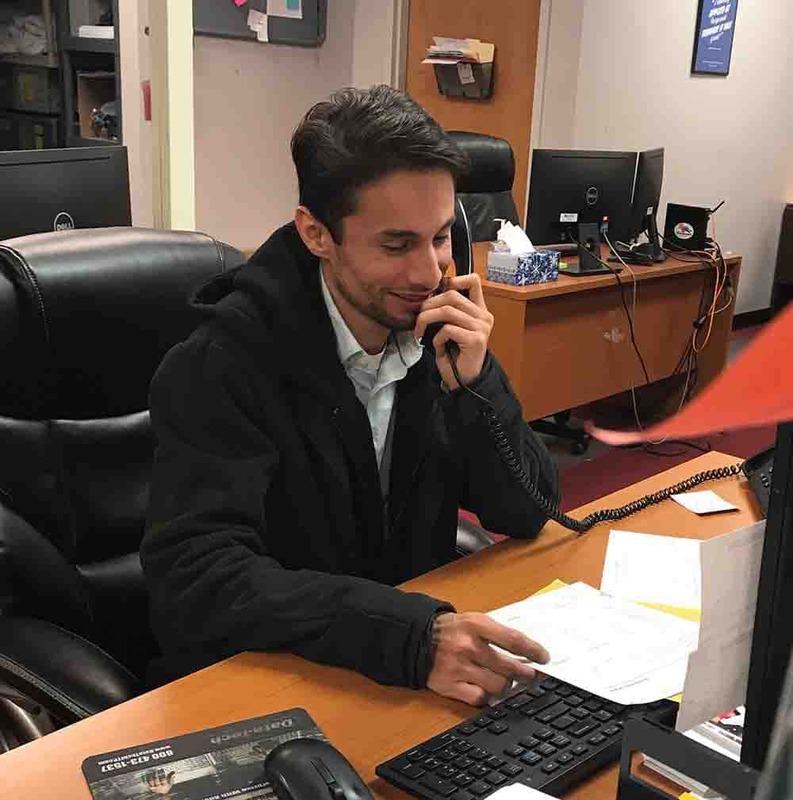 Our open door interviews allow you to stop in our office at any time to meet with one of our Service Coordinators while eliminating the extra step of having to schedule an appointment. You don’t want to miss our next open interview day or job fair we’re going to be having/attending. Follow your local Forge Facebook page to find out details and dates of all Forge events. You can also find all the events Forge Industrial Staffing will be participating in on the Facebook brand page, facebook.com/ForgeIndustrialStaffing/events! 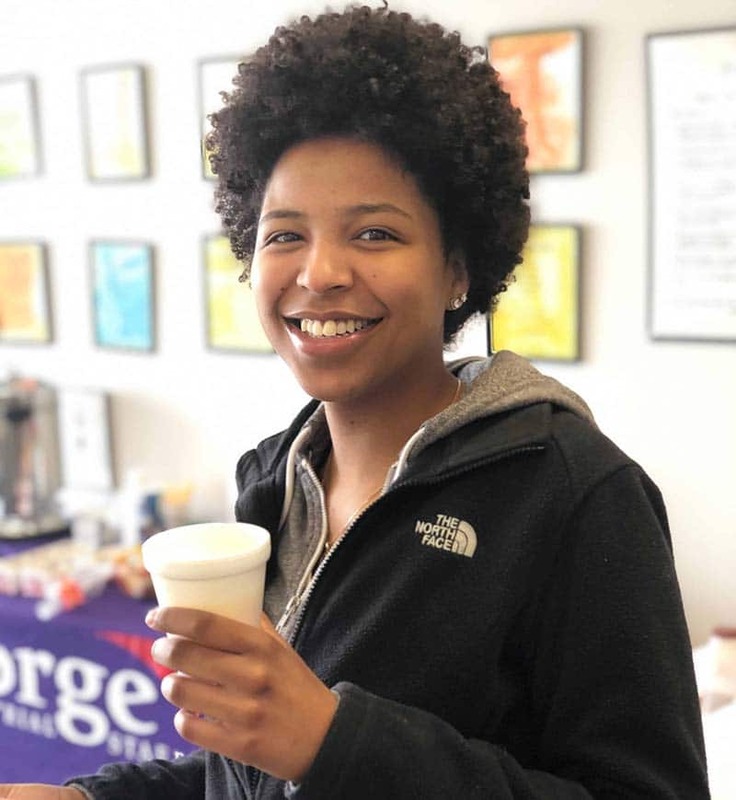 Many of the job opportunities Forge has to offer doesn’t require you to provide a resume, but it’s always best to keep one polished and ready to go in case an event, like a job fair comes up unexpectedly. Polishing your resume means making sure it’s up-to-date with your skills and experience listed from most recent to least recent. All experience is good experience, so it’s important that you include any and every job opportunity that you’ve had. Whether we ask for one or not, it doesn’t hurt to stop by our table at a job fair and provide us with a resume. By doing so, you’re reassured knowing that we physically have something of yours that we can remember you by. 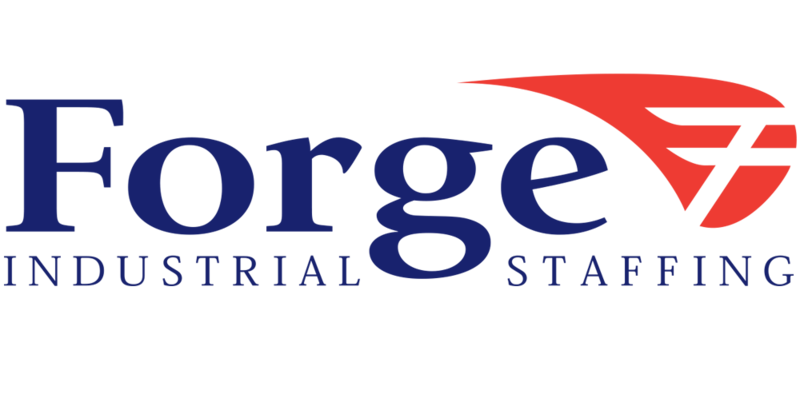 To learn more how Forge Industrial Staffing can help you with your job search, visit forgestaff.com or visit one of our 13 locations in Indiana and Michigan. Employers can learn more at forgestaff.com/clients/. Have you heard about all of the benefits that Forge Industrial Staffing has to offer you? Besides being able to offer various job opportunities for you to choose from, we also offer great benefits, such as the ones listed below. 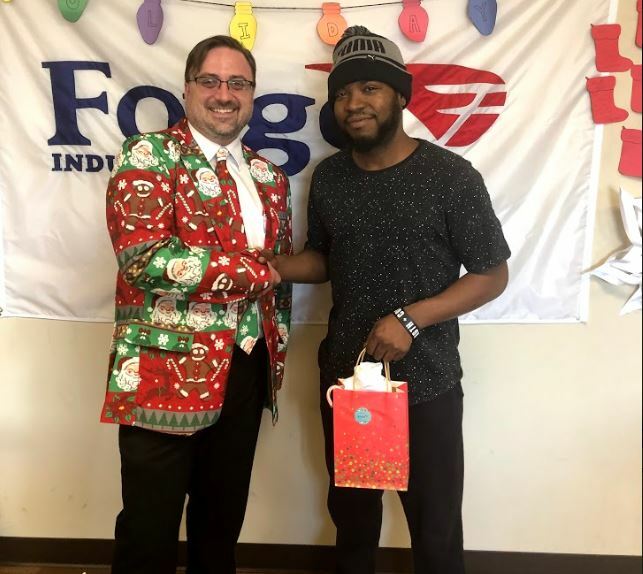 Forge employees get paid for the following holidays upon completing 1,000 hours of service : New Year’s Day, Memorial Day, Independence Day, Labor Day, Thanksgiving and Christmas. Forge employees earn a one week paid vacation after 2,000 hours of service. All active, hourly-paid Forge Industrial Staffing employees are eligible to participate in a health insurance plan. The premium payments are deducted from each paycheck. The health plan covers doctor office visits, prescription medicine, hospitalization, maternity care and provides options for life and accidental death benefit, dental and vision benefit, and short term disability benefit. Every month, each office chooses an “Employee of the Month,” who receives a cash award and recognition. Selection is based on hours worked, attendance, client feedback and work performance. In addition to direct deposit and regular checks, Forge Industrial Staffing is now offering you a great new benefit — getting paid on the rapid! PayCard® Mastercard® Card. You can have your pay automatically deposited to the paycard, giving you instant access to your money the morning of every payday. Safety at Forge Industrial Staffing is our number one priority. It is our goal to have each and every one of our employees placed in a safe environment. Most industrial jobs have inherent risks that can lead to serious injury if an employee is not following the proper steps. 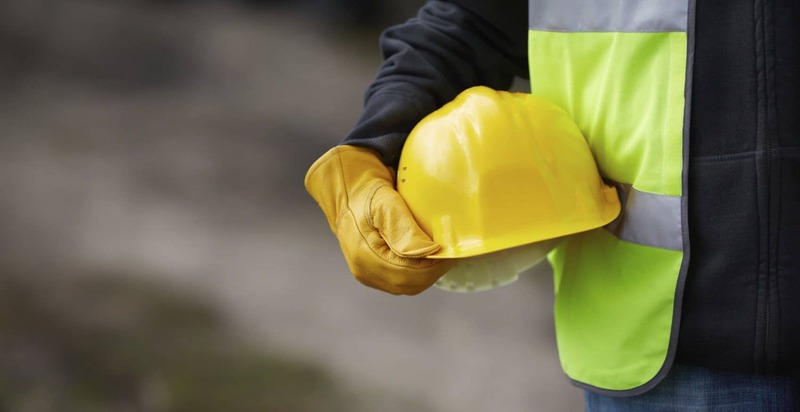 Every accident and injury is preventable on some level, and the first step in prevention is to continuously be aware of the dangers that are part of any work environment. Below are some simple guidelines that will help you keep Safety First! Always wear proper Personal Protective Equipment (PPE) as directed by Forge or our client. Your local Forge office keeps a stock of common safety equipment that is available to anyone working a current assignment. Even if other employees are not wearing the PPE properly, make sure that you are always doing so and that you understand the requirement for where and when PPE is to be worn. Always follow proper form – lift with your legs, not your back. Don’t be afraid to ask for help. Materials that weigh more than 50 lbs. in most cases should be lifted by more than one person in tandem. If something is too heavy for you, bring that to the attention of your supervisor immediately. Every company maintains Material Safety Data Sheets for the materials used at their location and are familiar with any dangers those chemicals pose. Always handle any chemicals – whether they’re in liquid or powder form – in accordance with the guidelines of the job site. When working with machinery, make sure that you are familiar with the machine’s safety features and the lock-out/tag-out process for that equipment. Never operate any machinery that does not appear to be guarded properly, where the guards do not appear to be operating or if the machine appears to be malfunctioning. Bring the situation to the attention of a supervisor immediately. Use proper ergonomics. Always standing or sitting the exact same way can potentially put undue stress on some parts of your body. Do some form of stretching before your shift for the muscle groups that you’ll be using in your job. Vary your position, even if only for 10 minutes during an hour, to help promote circulation and relieve stress on muscles in the arms, back and legs. When working in a repetitive fashion, particularly with the hands and wrists, learn ways to vary your approach in order to rest the joints and muscles. Most locations have a good understanding of ways to work smart to prevent injuries from becoming a problem for their workforce…never be afraid to ask someone for advice. If you are ever injured while working through Forge, even in a minor way, report the situation to your supervisor and Forge immediately to determine the level of medical attention needed. At the medical facility, you will have to submit to a drug/alcohol test. When you are released, report back to Forge with any medical documentation. If you are restricted to light duty work, an assignment that meets your restriction guidelines will be provided if one is available. Remember, it is your responsibility to report an occurrence to Forge. Never rely on anyone else to do so. Be prepared that Forge will ask you to come to our office to complete all necessary paperwork and will direct you for medical treatment if needed. Valentine’s Day is here and if you’re still looking for that special job consider this; searching for the right job is not all that different from dating. One popular dating expression is that “opposites attract.” This can also be true for you in your job search. If you’ve found that you are spinning in circles searching for the best job opportunity for you, perhaps you should try broadening your horizon. One option would be possibly seeking a job that is different from what you would normally try. There’s nothing wrong with using a temp agency to explore what jobs do and do not work for you. This also allows you to discover skills you may not know you’ve had. Make a list of the skills and experiences you know you obtain and consider how they fit jobs that you wouldn’t normally be interested in. You may be surprised how valuable you may be to an employer and what new and exciting challenges await you. Remember that “there are plenty of fish in the sea,” or in other words, there are plenty of jobs available for you to choose from when utilizing Forge Industrial Staffing for your job searching needs. While you may have your sights set on one job in particular, it can be disappointing if you don’t get it. Instead of having your heart set on one job, seek out multiple relating positions. Not only will the chances for you to find a great match improve, but you may discover that you enjoy another position even more than the one you were originally interested in. Employee Appreciation Days occur a few times a year at every branch location. They are a day we can spend showing you how much we appreciate all the hard work that you do. Each locations Employee Appreciation Day is a little bit different, because they get to decide what they would like to do for you that day. Some branches give out food, others give out Forge freebies, and some give out both! Sometimes a branch will have a theme based on the time of year the day is taking place. For example, during the month of December, a branch may have an Employee Appreciation Day that involves decorating sugar cookies, ornaments, or a visit from Santa! 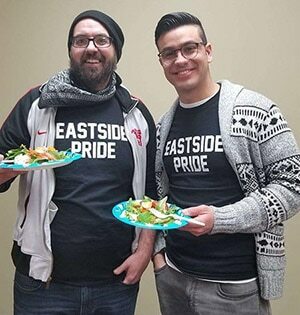 Bring a friend to Employee Appreciation Day that is interested in finding work through Forge Industrial Staffing and you have the chance of receiving a bonus! The person must be work a minimum of two (2) days in order for you to be eligible for the referral bonus (amount depending on location). You don’t want to miss Employee Appreciation Day, so follow your local Forge Facebook page to find out details and dates of the next Employee Appreciation Day and other events we will be at! You can also find all the events Forge Industrial Staffing will be participating in on the Facebook brand page, facebook.com/ForgeIndustrialStaffing/! 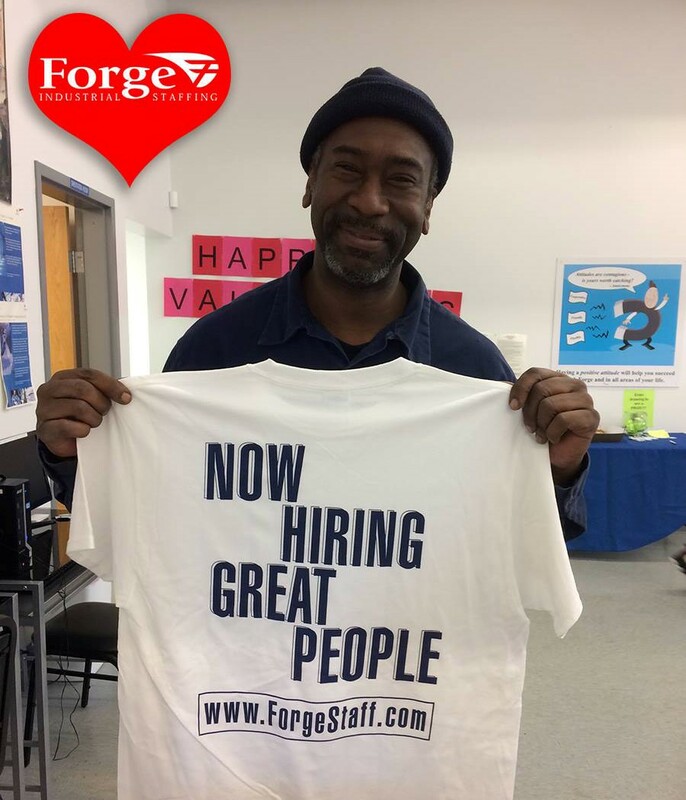 If you have not applied with us already and are interested in finding a great job opportunity with us, apply online today at, forgestaff.com/apply!